Conor McGregor has pleaded not guilty to charges related to smashing a fan’s phone, but this new footage is pretty conclusive. New footage from Conor McGregor’s cellphone smashing incident outside a Miama club has just surfaced, care of TMZ Sports. McGregor was outside LIV Nightclub on the morning of March 11th when he got into an altercation with Ahmed Abdirzak. Previous footage filmed another bystander showed the moment McGregor grabbed and stomped on Abdirzak’s phone, but this new footage from LUV Nightclub security footage gives a much clearer picture of the immediate lead-up and aftermath of the incident. 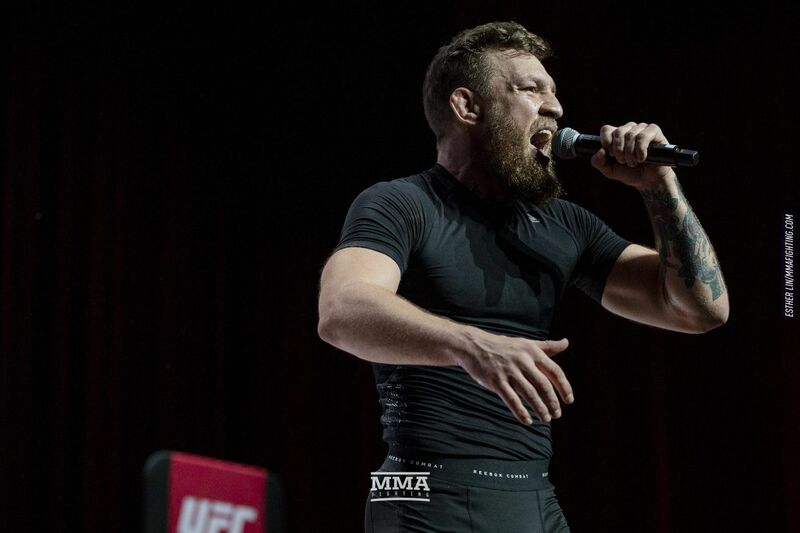 Initially, McGregor seems to be in good spirits and even gives a little strut for the crowd of onlookers as he walks across the Fontainebleau entrance to the club. Other people film him, but he seems to take issue with Abdirzak turning the flash on to film. McGregor veers towards him as Abdirzak backs away, camera and light still pointed at the former UFC champ. McGregor then slaps the phone out of his hand and stomps on it as an unknown bystander in a suit (hotel security?) directs Abdirzak back towards the curb. McGregor picks up the phone and walks away. Another security camera catches him getting into an SUV and driving off. While a civil suit from Abdirzak has recently been dropped, McGregor still faces criminal charges over the incident with a court date scheduled for May. Initially charged with one count of strong-arm robbery and one count of criminal mischief valued at $1,000 or more dollars, the charges were downgraded to robbery by sudden snatching and misdemeanor criminal mischief due to the value of the phone. McGregor has pleaded not guilty, which should be interesting to prove given the videos we’ve seen here.